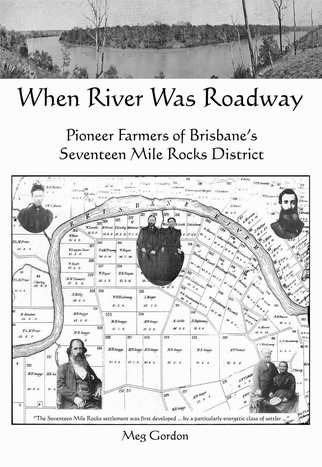 This book focuses on the 19th century settlement of Seventeen Mile Rocks suburb, Jindalee, Mt.Ommaney and parts of Sinnamon Park. It includes a detailed description of the pioneer community, including the countries of origin of settlers, key aspects of lifestyle including modes of transport, the establishment and the history of community institutions (such as School, Churches and the Orange Lodge). The book also includes a history of the pioneers’ farming activities including the changing pattern of land ownership, changing sizes of land holdings and changing land usage over time. Approximately two-thirds of the book consists of profiles of pioneer families, including their land holdings, their community involvement, and family details including genealogical charts. The book is 320 A4 size pages (160 sheets printed double-sided) in length, with a page of contents, an index, and references provided in footnotes.